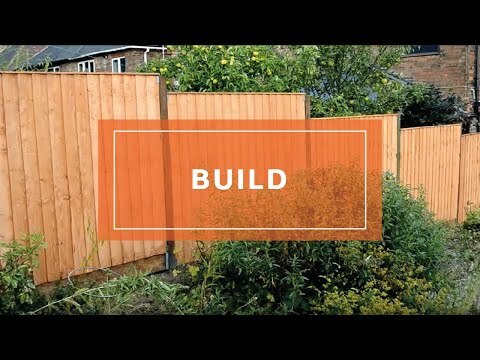 This 4ft x 6ft (HxW) Vertical Hit & Miss Fencing Panel is perfect if you live in an area that is susceptible to high gusts of wind, this is thanks to a construction that prevents wind penetration. The panels of this wooden fence are placed vertically next to each other with a gap left in between; another panel then covers the gap. This fencing design prevents wind from penetrating the fence because the slats allow the wind to pass through with less resistance. Horizontal bracing has been fitted to the rear of the fence for additional support against adverse weather. By combining a traditional design with modern day building standards, we have created an attractive fencing panel that looks great when painted or when left in a natural state. Standing at 4ft tall, this wooden fence is perfect for keeping children and pets in the garden without cutting off the outside world. We have dip treated this wooden fence panel in our factory to help protect the timber against wood rot and decay; a 10 year anti-rot guarantee is supplied so that you can be confident in the quality of this product.